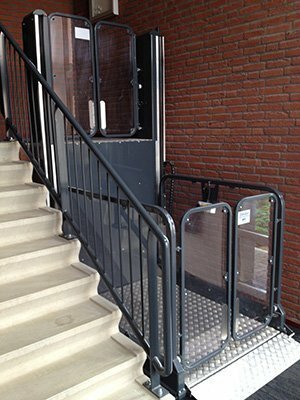 The MID-UP is ideal for a height difference of up to 1 metre maximum. 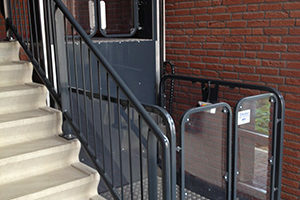 Its application is mainly to make buildings and shops accessible. 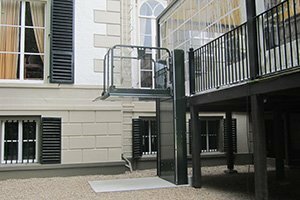 The lift is powder coated in RAL7004 as standard and therefore suitable for outside set up. The MID-UP can be installed without any significant structural provisions. 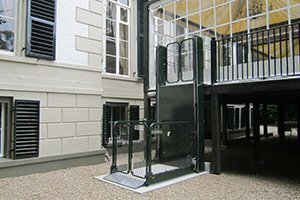 The MID-UP has a lifting capacity of 300 Kg. Due to its easy and comfortable operation, the MID-UP is very user friendly. The MID-UP can be installed with a pit of 45 mm – or without pit.